When you see an image of a dove with an olive leaf do you think of peace? I do. I also view the dove with an olive leaf as a message of living hope. 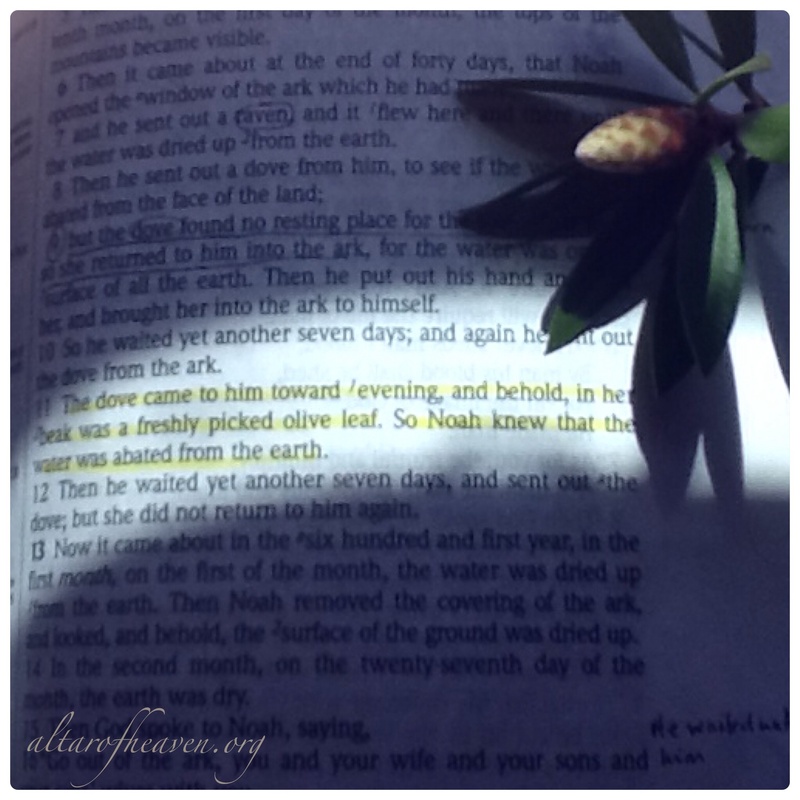 For Noah and his family, the dove with an olive leaf represented hope of the flood water receding, hope of getting off the ark and onto dry land. It was a message of hope for the physical salvation of Noah and his family. Looking closely you will see it was also a message of hope for the spiritual salvation of this sin flooded world. It was a message of hope for you. The Olive branch foreshadows the event at the foot of the Mount of Olives, also known as the Garden of Gethsemane when Jesus prayed so fervently His sweat became like drops of blood as He submitted to the will of the Father. Jesus took on the punishment of sin and death giving us access to the Holy Father by one Spirit. We know that Jesus Christ rose on the third day and is now seated at the right hand of the Father still praying for us who believe. For those that have been drawn by the Father with cords of compassion and flooded by His grace, they can see their sin sick heart and need of a Savior. This grace beckons them to confess and repent turning from their sin to a life of righteousness in Christ. These are the Christians, the ones with a different kind of hope. It is a living hope of having a ‘joyful confident expectation‘ of eternal salvation that comes by faith in The Lord Jesus Christ. Maybe you’ve lived long enough in this sin flooded world to see we can not place our hope in education, a job, a program, our family, the government, in riches, or in yourself. I’ve been there. I write to testify there is only one place where you can place your hope where you will not be disappointed. It is in Jesus Christ alone. Beloved, there is not much time left. “…there shall certainly be a resurrection of both the righteous and wicked…” (Acts 24:14). We will live in eternal unhindered fellowship with our God our Father or eternally separated from Him. Come into the safety of the Ark of Christ and your life will be hidden with Christ in God. May God draw you to Himself today, and may you watch and wait in confident expectation for triumphant return of our Beloved Messiah Jesus Christ! 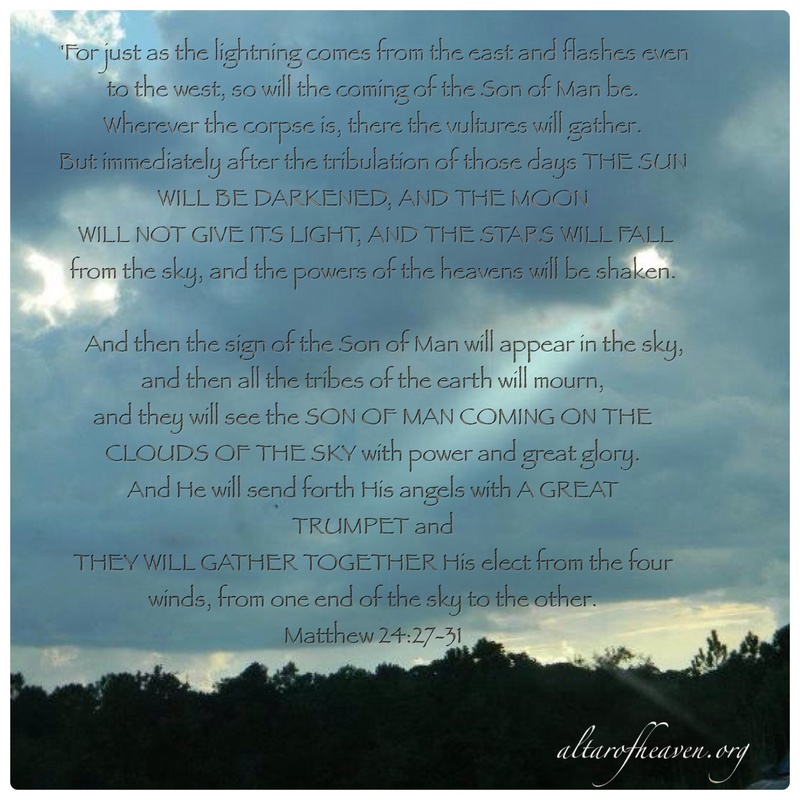 This entry was posted on Sunday, March 23rd, 2014 at 2:24 am	and tagged with Bible, confession, confident expectation, Dove, eternal life, faith, flood of the world, Garden of Gethsemane, God, grace, holy spirit, hope, Jesus, kingdom of God is near, living hope, message of hope, no hope in this world, Noah, olive leaf, repentance, sanctification, spiritual salvation, the return of Jesus Christ, waiting and posted in Meditations of His Word. You can follow any responses to this entry through the RSS 2.0 feed. « Striving Raven or Abiding Dove?